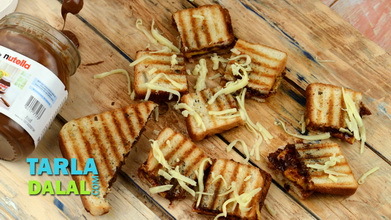 Cheese is an all-time favourite ingredient as far as kids go! 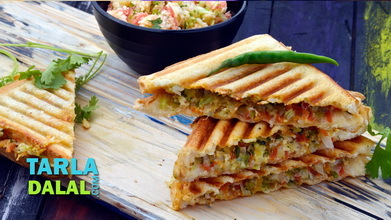 Any dish with cheese is sure to appeal to them, and so this sandwich offers them triple the fun! 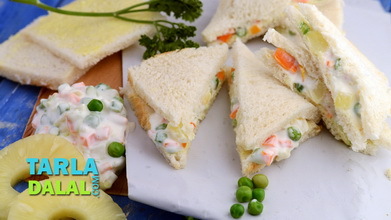 With three cheesy layers, flavoured excitingly with varied seasonings, herbs and sauces, this Three-Layered Cheese Sandwich is a child’s dream come true. 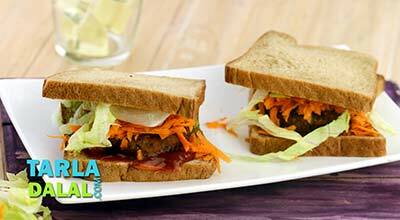 Serve it immediately on preparation as it contains tomato ketchup and mustard paste, which will make the sandwich soggy after some time. 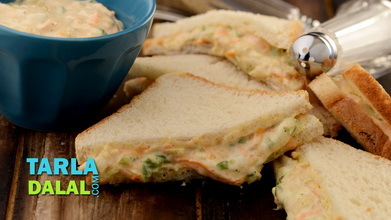 Place a bread slice on a clean, dry surface, spread 2 tsp of cheese spread, and sprinkle ¼ tsp of chilli flakes evenly over it. 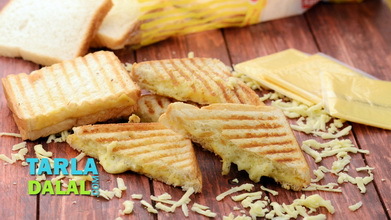 Place another bread slice over it, spread ½ tsp mustard sauce and place a cheese slice over it. 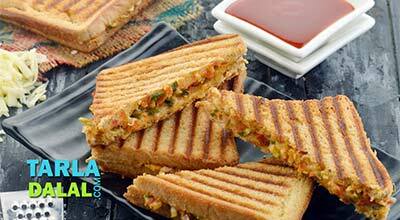 Place another bread slice over it, spread 1 tsp of tomato ketchup and sprinkle 2 tbsp of cheese and a little mixed herbs evenly over it. Finally sandwich it using another bread slice. 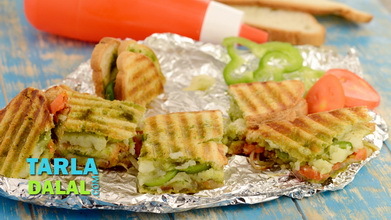 Apply a little butter on top of the bread and grill in a pre-heated greased sandwich griller for 4 to 5 minutes or till it turns brown and crispy from both the sides. Repeat steps 1 to 6 to make 3 more sandwiches.